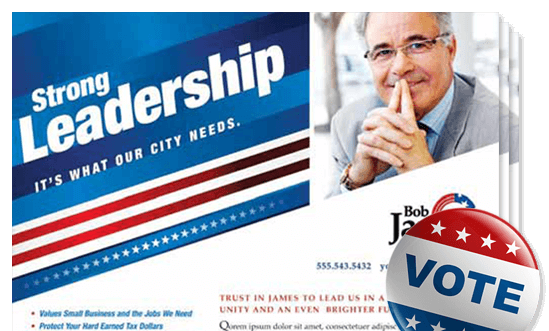 Deliver your political campaign straight to your community's front door with a direct mailing. What is a Political Mailing? Political Mail is an easy and cost-effective way to create material promoting political candidates, referenda, or campaigns. Political Mail may be sent from a political candidate, federal, state or local campaign committee, or political party. The Postal Service® is committed to providing you with the tools necessary to implement a successful political mail campaign. Target entire cities, ZIP codes, neighborhoods, or individual mail routes. Save money with low per-piece postage costs for a Standard Mail Flat, that still provides plenty of space for your message details. Standard Mail is ideal for sending postcards, printed flyers, advertisements, or newsletters. Certain restrictions apply, so review the guidelines to make sure your mailpiece is eligible.